10kt and 14kt gold rings for children in styles for both girls and boys. Traditional band rings in whte and yellow gold, children's signet rings, plus a variety of beautiful gold birthstone rings. 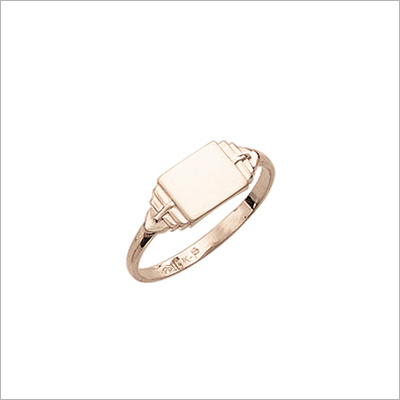 Our gold rings for children are quality made in classy styles for kids. 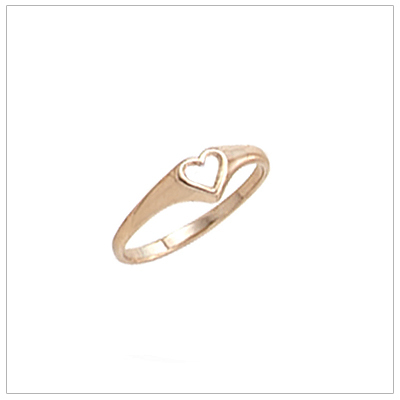 14kt gold heart shaped signet ring for girls. 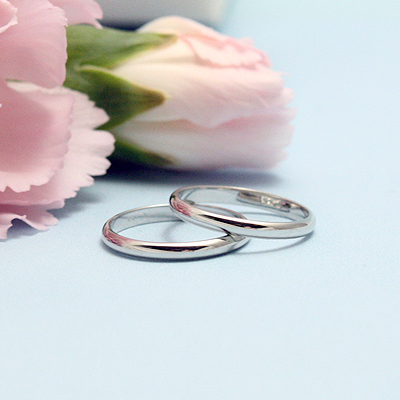 The heart has a brushed finish, polished band. Size 3. 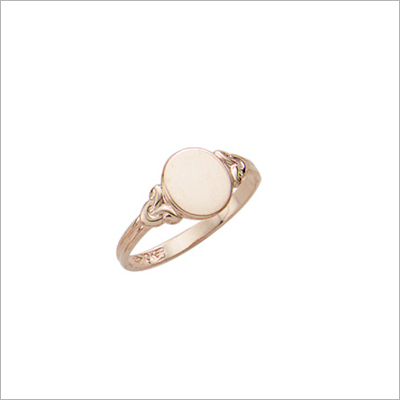 A fine quality 14kt gold signet ring for girls. 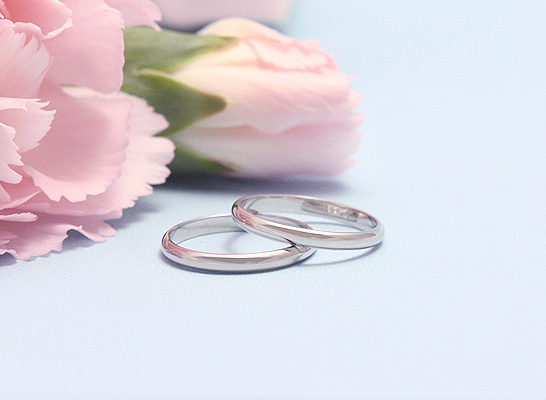 The solid band is bright polished, the signet is heart shaped with a brushed finish. 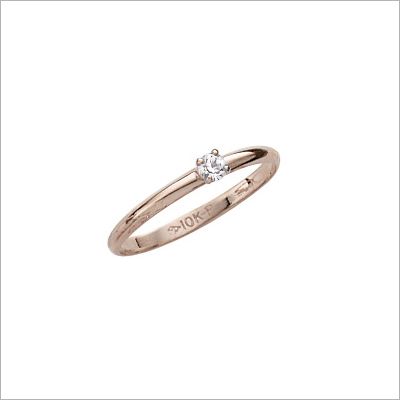 Engrave one or two initials on this ring. 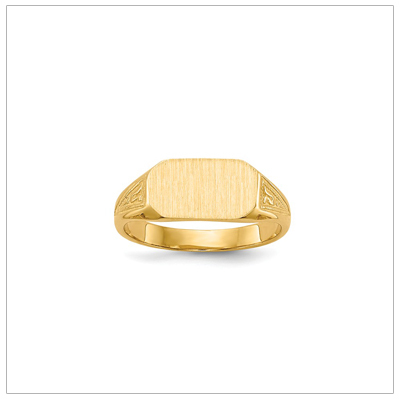 Beautifully detailed signet ring for girls in 14kt gold. Engraving included. Sized for older girls. Size 5. 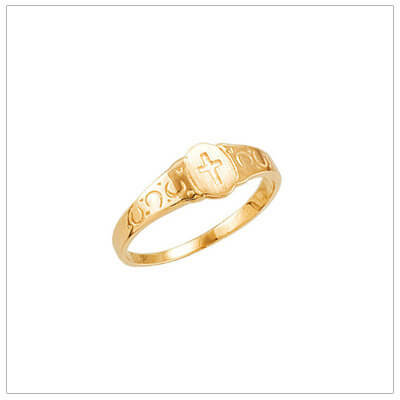 14kt gold signet style Cross ring for children with a decorative band. Christian jewelry. Size 3. 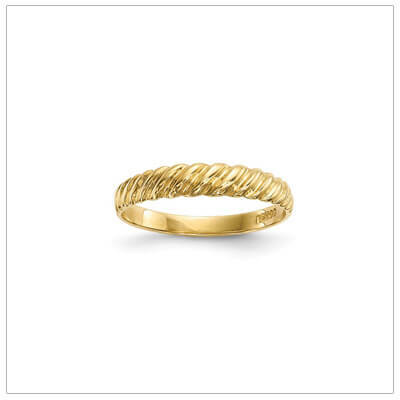 Girls 14kt gold ring with a twist design. 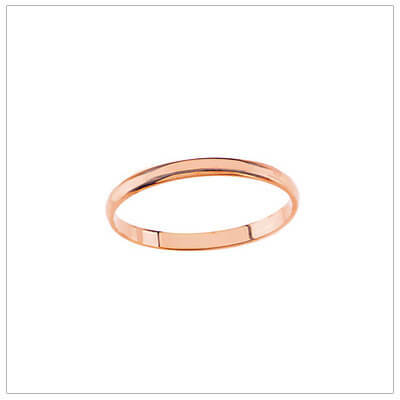 3mm wide band, available in size 3. A textured Cross ring for kids in 10kt gold. The simple design perfect for boys or girls. Size 3.5. 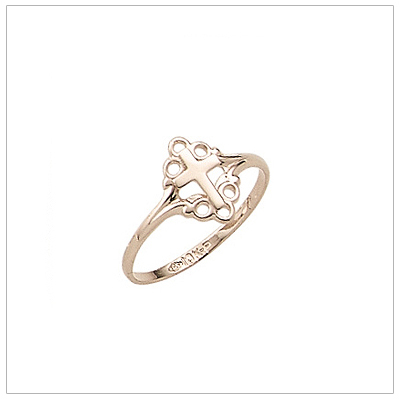 Cross ring for girls in 10kt gold with a decorative border and raised Cross. Kids jewelry. Size 4. 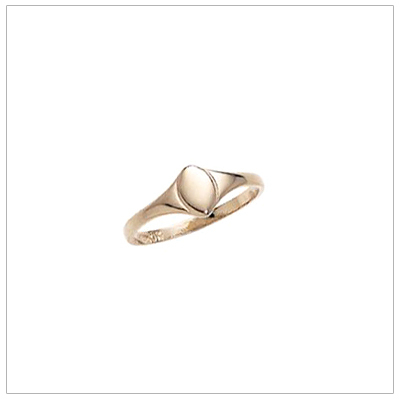 10kt gold oval signet ring for girls with a beautiful design on the side. Engrave her initials. Size 4. 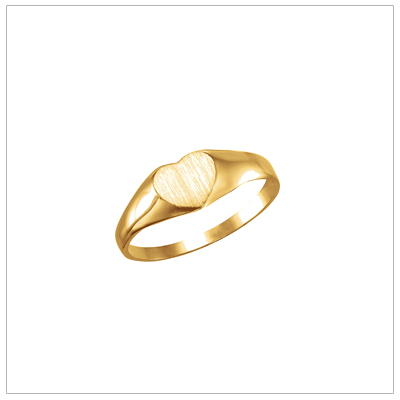 Beautiful 10kt yellow gold signet ring for girls with a heart shape. Engraving included. Size 4. 14kt yellow gold diamond solitaire ring for children. The diamond is .10 ctw. Size 3. 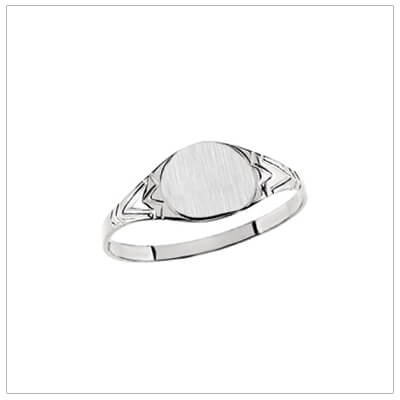 14kt white gold signet ring for girls with a heart shape. Engraving included. Size 4. 14kt white gold diamond solitaire ring for children. The diamond is .10 ctw. Size 3. 14kt yellow gold diamond solitaire ring for children. The diamond is .10 ctw. Size 4. 14kt white gold diamond solitaire ring for older children. The diamond is .10 ctw. Size 4. 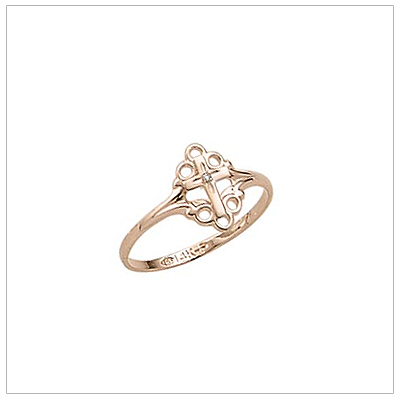 Diamond Cross ring for girls in 14kt gold with a decorative border and raised Cross. Size 4. 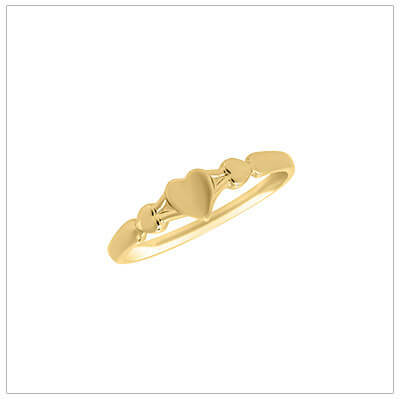 10kt gold baby rings with three small hearts and a polished band. Baby jewelry. Size 1. Charming! A genuine solitaire diamond ring for children in 10kt yellow gold. Kids jewelry. Size 3.5. 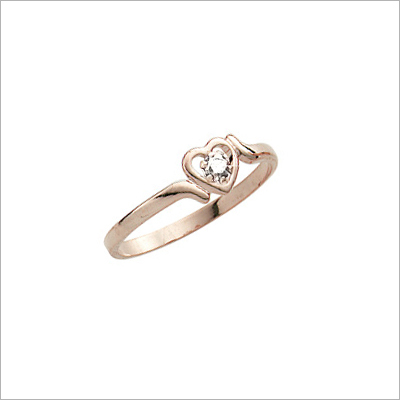 10kt gold diamond heart ring for girls. 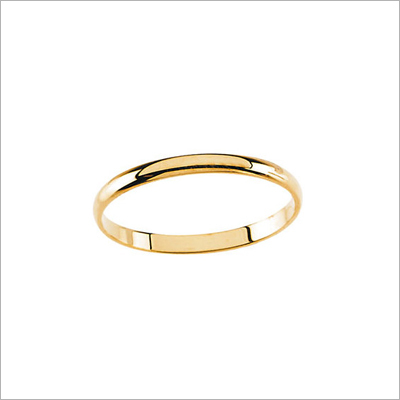 Polished yellow gold. Children's jewelry. Available in size 3.5. 14kt white gold heart rings for girls set with genuine diamonds. Perfect for older girls. Size 4.5. 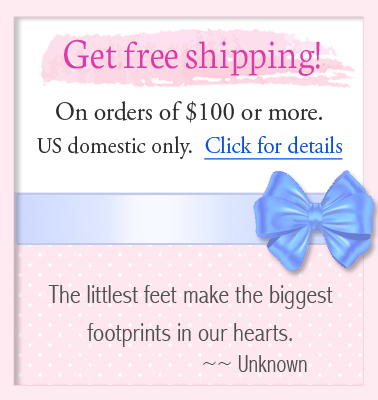 14kt gold diamond heart rings for girls with open heart, genuine diamond. Kids jewelry. Size 3.5. 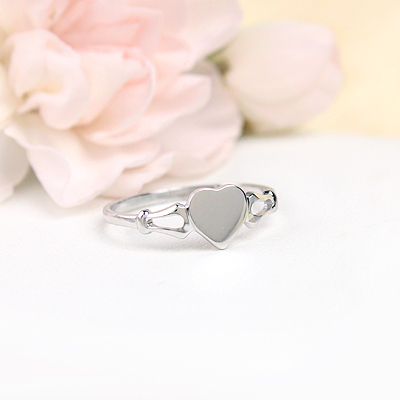 10kt gold heart ring for little girls in a smooth polished finish. 10kt baby jewelry. 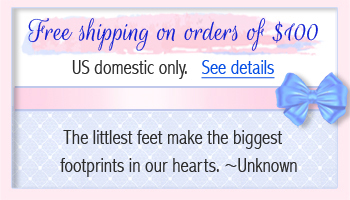 Toddler size 2.5. 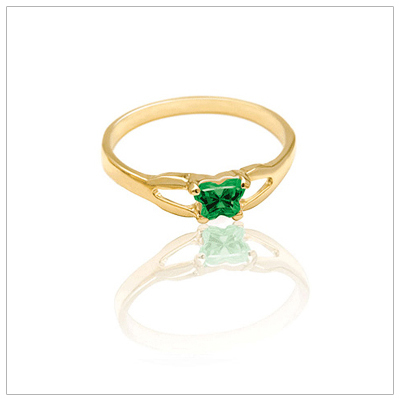 Fine quality butterfly shaped cz birthstone ring for girls in 10kt yellow gold. Kids jewelry. Size 3. Fine quality butterfly shaped cz birthstone rings for girls in 10kt white gold. Kids jewelry. Size 3.